The music of the Worship Team begins Chapel at 11:15 a.m. Mondays. As the Grand Canyon University campus population keeps growing, so does attendance at Chapel. That’s only natural. But Chapel’s importance to students has remained consistent. 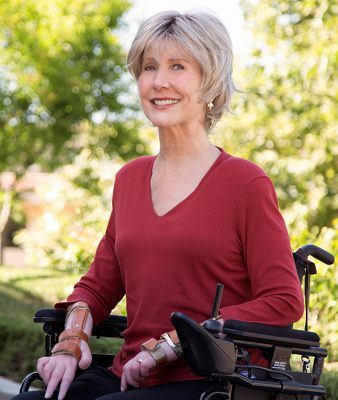 Joni Eareckson Tada, a quadriplegic whose ministry focuses on helping the disabled, is scheduled to speak at Chapel on Sept. 17. “I think the attendance at Chapel is a byproduct of the community of students – who they are, what they value,” said Danielle Rinnier, Director of Spiritual Life. That also is reflected by the wide range of speakers for the fall semester, including six Chapel newcomers. Most notable among them is Joni Eareckson Tada, who still is sharing her incredible message 50 years after a diving accident left her a quadriplegic. She is the guest speaker on Sept. 17. “That one was a no-brainer,” Rinnier said. Tada’s ministry, Joni and Friends, aims to “accelerate Christian ministry in the disability community,” according to her website. Her headquarters is in Southern California, but the ministry has area offices in 15 states across the country. The first newcomer of the semester is Mark Moore of Christ’s Church of the Valley, scheduled for Sept. 10. “Lots of students either come from CCV or go to CCV, and we’ve heard that he is one of their most gifted communicators,” Rinnier said. As usual, the semester begins with a talk by GCU President Brian Mueller on the first day of classes, Aug. 27. 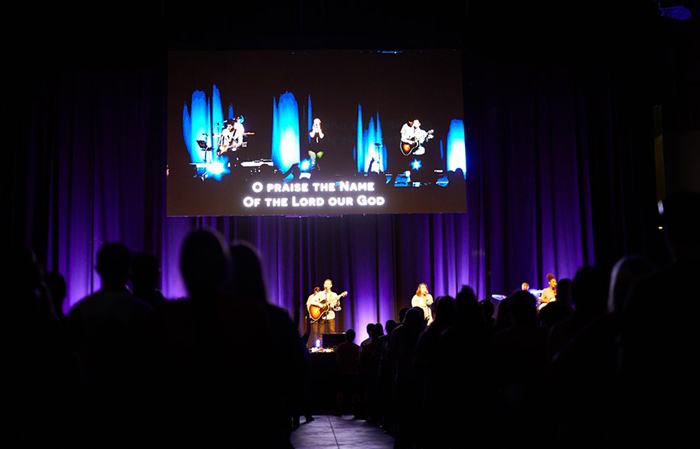 Chapel meets at 11:15 a.m. Mondays in GCU Arena and is open to all GCU students, faculty and staff. It begins each week with 15-20 minutes of uplifting music by the Worship Team, a 30-member group of GCU students divided into three separate bands, and the speaker’s 20- to 30-minute talk follows. Students also gather for Christian music and inspirational talks – usually by GCU staff members – at The Gathering, which meets at 8 p.m. Tuesdays in Antelope Gym.